Morgan Stanley received $10 billion in bailout funds1 in the 2008-09 financial crisis. Morgan Stanley's placement on the list is in the third tier used for 2012, which indicates that it is among the 14 most critical financial institutions in the global economy. Banks in this category are required by the FSB to have a level of capitalization that is quite low, at 1.5%. Due to the contagion effect8 of our fractional reserve banking system and Morgan Stanley's significant investments in derivatives, deposits held with Morgan Stanley may be vulnerable. Wells Fargo's failure could have a significant impact on our economy in Washington, DC. 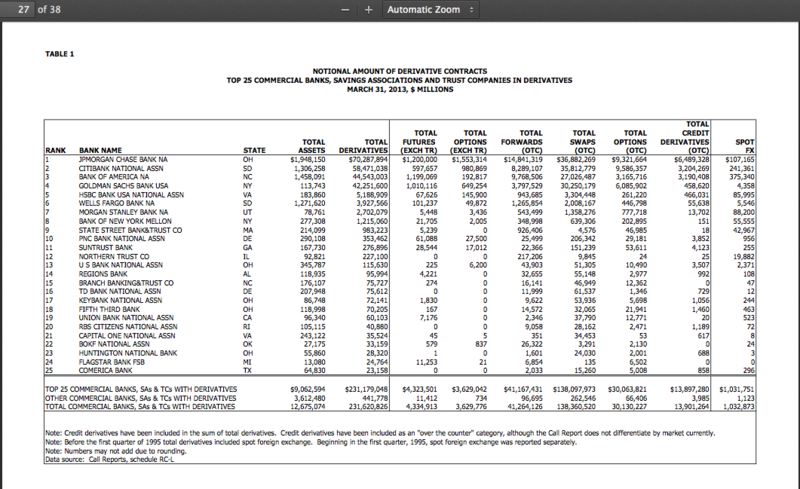 As noted below Morgan Stanley holds a significant share of deposits for the government of DC.